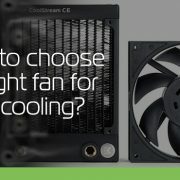 What to look for when deciding for the right liquid cooling fans? There are many features, labels and different characteristics and you can easily get confused. We show you what is important and what you have to know when buying a liquid cooling fan. Get the latest blog posts!